SYKES is an organization that is deeply rooted in the principle of helping people one caring interaction at a time. They take this to heart and keep this in mind in every interaction that they create. They bring this value even outside of the organization, reaching out to communities and providing help in the best way that they can. 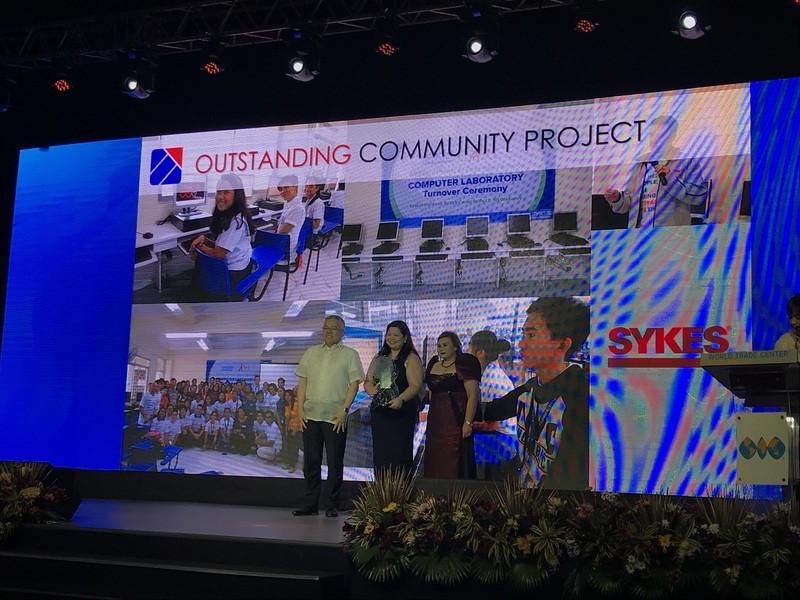 Since opening its doors in the Philippines 20 years ago, SYKES has always honored its commitment to the community, and this year, their hard work has been recognized by the Philippine Economic Zone Authority (PEZA). The company bagged the Outstanding Community Project Award for 2016, celebrating its unyielding support and efforts for the betterment of others. Most of the company’s community-related projects are led by their corporate social responsibility arm, SYKES Cares. The program is strongly supported by employees, having a strong pool of volunteers coming from different sites. While SYKES Cares spearheads relief operations and outreach programs, the program is strongly geared towards education. “Education has always been one of the most important pillars of our advocacies because we believe that it’s a crucial tool for the youth to improve their prospects in life,” shares Dean Van Ormer, SYKES’ Vice President for Philippine Operations. One of the company’s longest running scholarships started in 2006, supporting the studies of more than 40 students for almost 10 years. Aside from the scholarships, the company has also initiated numerous refurbishment projects and computer donation drives for schools. Their latest computer laboratory project was for Pedro E. Diaz High School in Muntinlupa City which was turned over to the students late last year. Aside from SYKES Cares, the company also initiates other projects through their work-life programs, SYKES Choices and SYKES Involve. These programs support clubs for various interests such as sports, outdoor activities, and other hobbies. While most of the clubs’ activities revolve to their passions, they also dedicate themselves to creating events for a bigger cause. “We may be a small group, but we are driven by compassion to help out those who are in need. Just like how we keep our bike wheels rolling, we promise not to stop from helping,” Henry James San Luis shared. He was a part of the program’s SYKESClistas Club (Cycling Club). As the company celebrates its achievement with its volunteers and employees, SYKES promises to continuously work towards building, shaping, and helping communities. The company hopes to strengthen their CSR programs for 2017, considering different avenues to explore for their 20th anniversary in the Philippines.